1. Preheat the oven at 180°C (fan setting). 2. 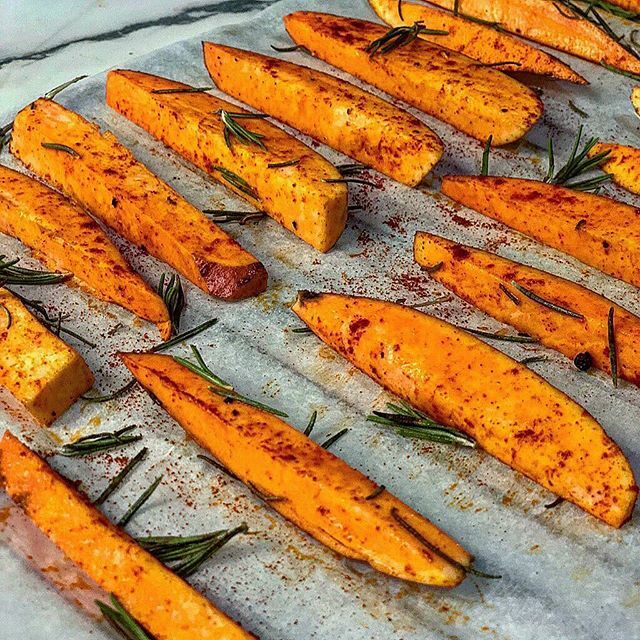 Place the Sweet Potato wedges in a bowl add the olive oil and mix with your hands. Once coated with oil, add the smoked paprika, fresh rosemary, salt & pepper.